This versatile family of sliding doors provides fine-tune adjustability, precision-engineered bearings, and a refined design that looks as impressive as the materials that it holds. 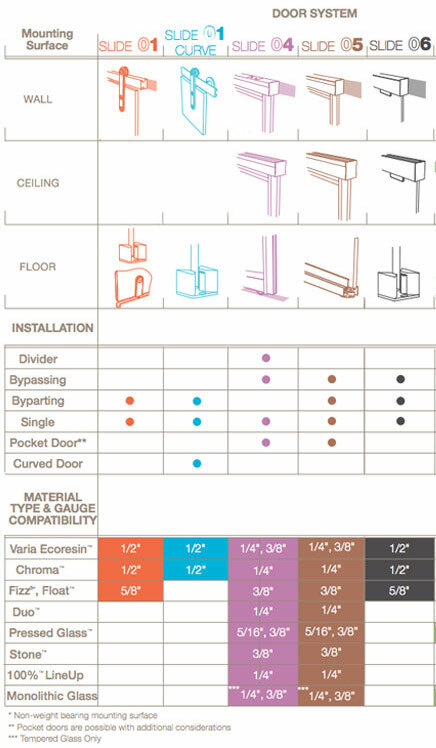 Slide is available in either wall mount, ceiling mount, or floor mount applications, giving you the freedom you need to design the ideal opening for your project. Demonstration of all 3form Sliding Door hardware systems including features, benefits, and cursory installation instructions. 3form SLIDE 01 CURVE is designed to accommodate a variety of wall radii without custom fabrication. Working with the formability of 3form Varia Ecoresin and Chroma to create curved wall mount doors allows you to impress while keeping the installation and fabrication process simple. 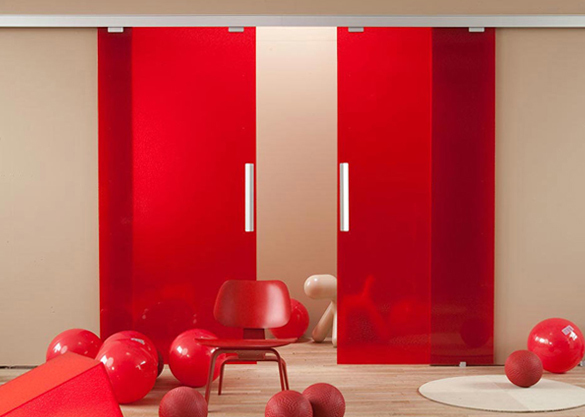 The most versatile member of the SLIDE family, SLIDE 04 creates new translucent sliding door possibilities. 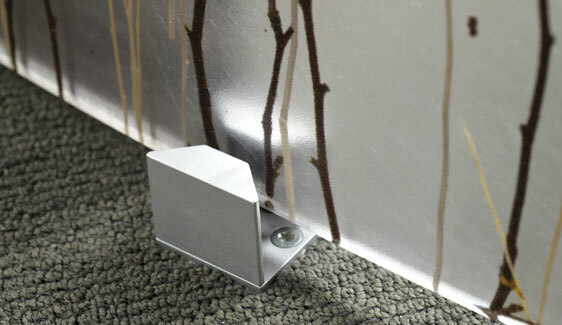 With the weight born on the floor, the top guide can be positioned on the wall or the ceiling. 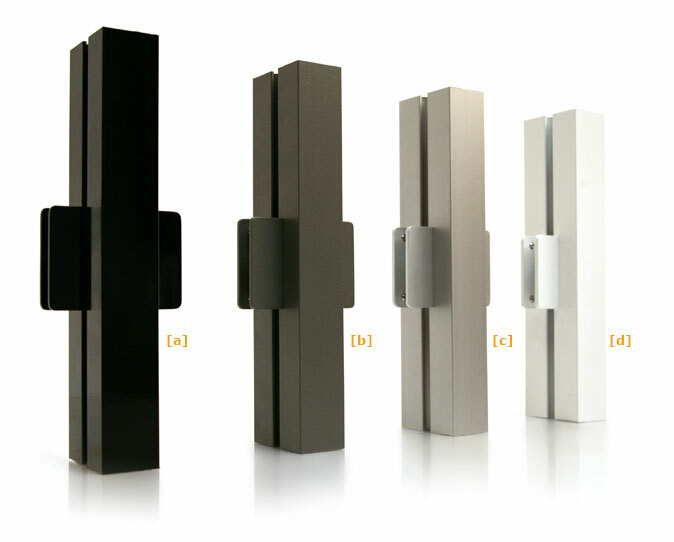 This flexibility allows for multiple configurations including biparting, bypassing, and dividing doors. These attractive doors with their refined lines are a perfect complement to the materials they frame. 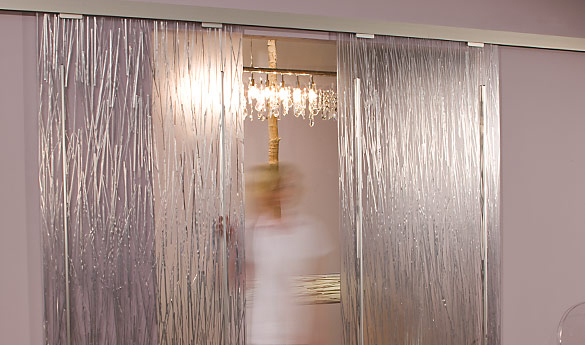 Create translucent sliding doors with the SLIDE 05 system from 3form. 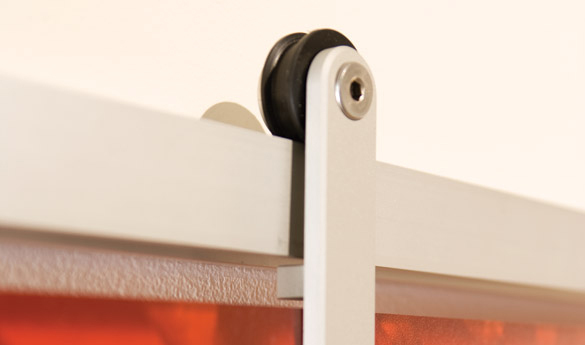 It is a clean, versatile sliding door system with excellent functionality that can have the weight borne on either the ceiling or the wall through the use of the wall-mount converter. The sleek frame profiles and matte silver-white finish make the hardware of this door a perfect complement to the aesthetic material it holds, making a beautiful, functional solution for your installation. 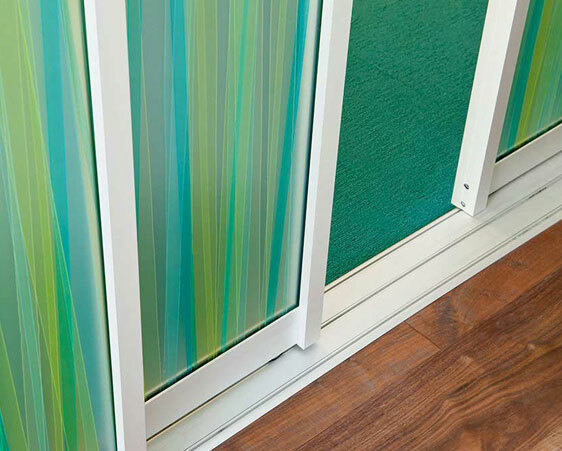 The Slide 06 door system from 3form is a completely unframed panel door that uses the same sophisticated tried-and-true rollers and track as SLIDE 05. This creates an aesthetically appealing, versatile door system with excellent functionality that can have the weight borne on either the ceiling or the wall through the use of the wall-mount converter. 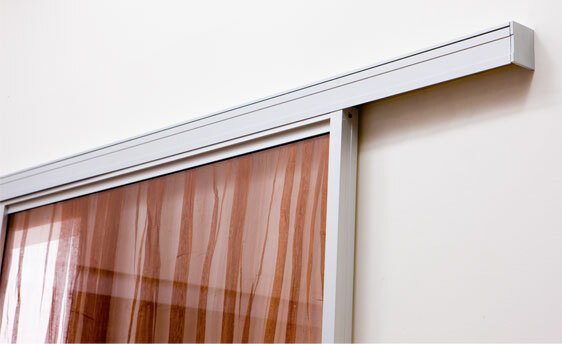 SLIDE 06 puts the emphasis on the material it holds, making a beautiful, functional solution for your installation. Introduce the versatility of color to most 3form hardware systems. Customizing entire solutions is now easier than ever with nearly-infinite material possibilities and the option for hardware to match. Select colors that are self-effacing and blend into surroundings or make a bold statement with a solution's supporting hardware.